Los Angeles, CA, 90028, USA. Fri, July 1st, 2016 at 10:00 pm – 2:00 am. Revel in Lure Nightclub nightlife on July 1st 2016 with Adult Film Star Chanell Heart Birthday Bash. This event will be co-hosted by 360 Models Agency and dozens of adult stars. Doors open promptly at 10:00 PM. VIP tables with bottle service are best to ease entry Friday nights at Lure Nightclub. 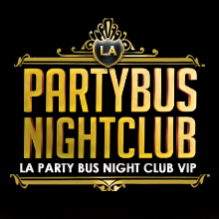 Contact Jamie Barren at +1 (310) 749-9029 for an unrivaled VIP nightlife experience at L.A.’s Lure. Motion-sensitive LED screens? Room for more than 1,000 people? Multiple bars? You got it – Lure Nightclub can be compared to the Las Vegas of Los Angeles. Situated in the heart of historic Hollywood, the ultra-glam Lure Nightclub attracts top DJs from across the world with its massive dance floor and 50,000-watt Line Array sound system. This is the place to go if you’re looking for a classic nightclub experience – there’s VIP bottle service, a dress code, and a mostly open format, top 40, and hip-hop playlist. Fridays are when to experience the cutting-edge in cool clubbing L.A.’s Lure Nightclub.